Hello, dear friends! Today I have partnered with DairyPure to share an exciting holiday recipe–and it only has 5 ingredients! 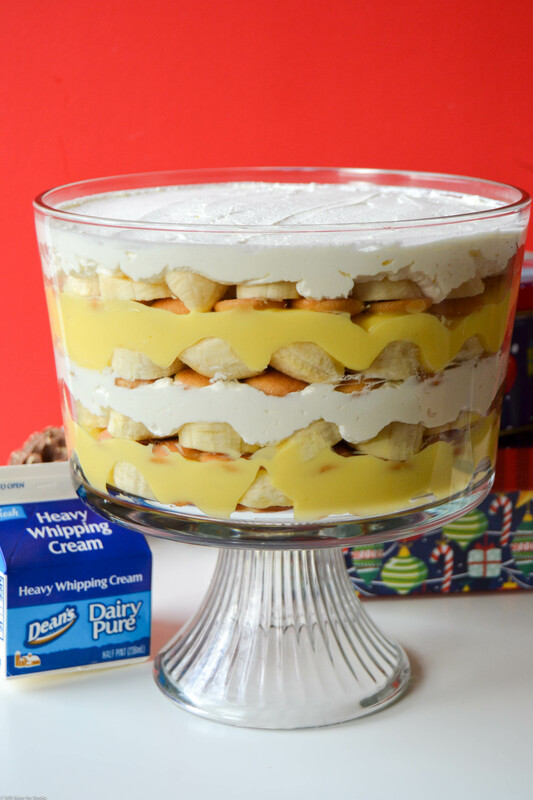 This Banana Pudding Trifle is a lot of things. For one, it’s delicious. 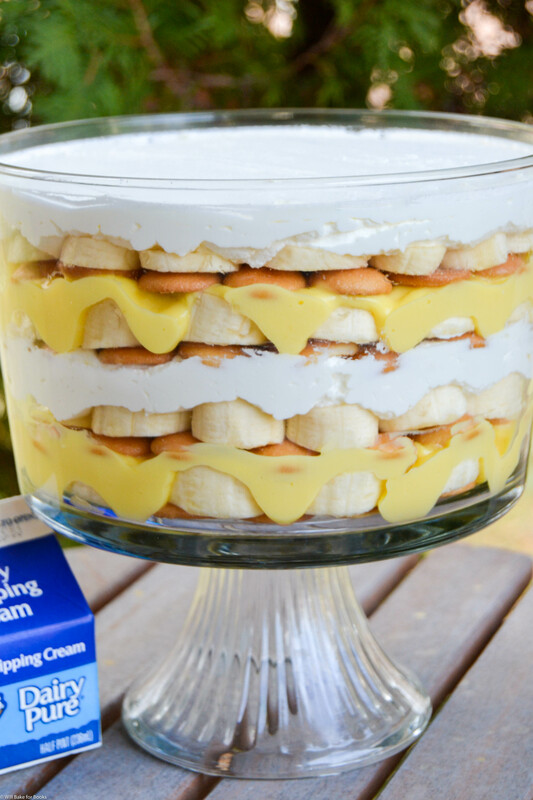 The creamy layers of french vanilla pudding, vanilla wafers, bananas, and my personal favorite–homemade whipped cream made with DairyPure’s heavy whipping cream–come together to make a luscious dessert you won’t soon forget. Not only does it taste amazing, but you will wow your guests with how beautiful it is too! Homemade whipped cream…have you ever tasted anything more softly decadent? The heavy whipping cream you use makes a difference too. Make sure to use a good brand like DairyPure, which is a great product for you to use for your holiday recipes! It only takes seconds to whip up this whipped cream and boy, is it worth it. If you’re looking for more creamy, quick, and lovely holiday recipes, visit DairyPure to see more and create your own simply made memories. The rest of this recipe is equally as easy. 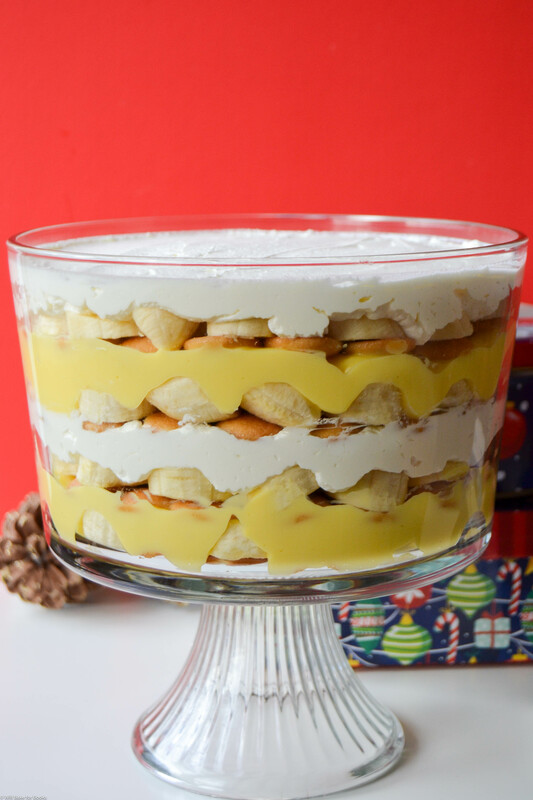 Grab some vanilla pudding mix, wafers, and bananas, and you are all set to make this simple yet wowing holiday dessert! Enjoy, friends. Add this easy 5-ingredient dessert to your holiday table! 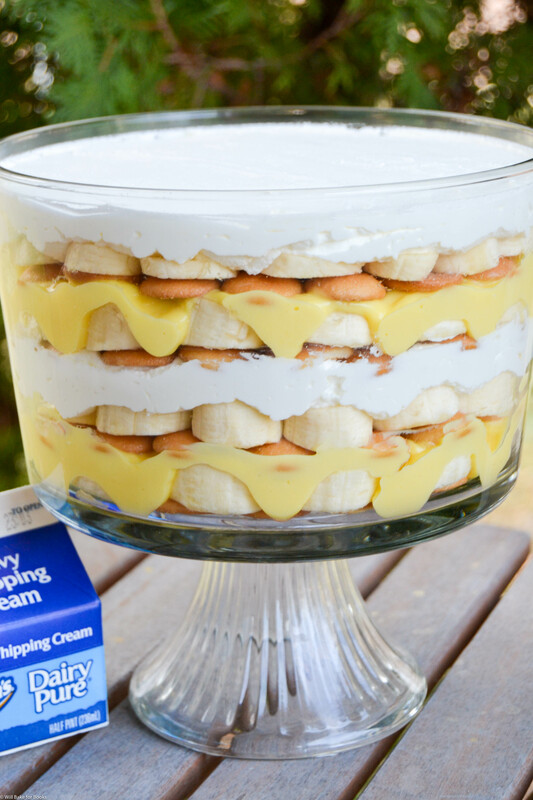 Bananas, vanilla pudding, wafer, and homemade whipping cream...how can you go wrong? Make vanilla pudding mix as directed and set aside to thicken. In another bowl, beat the heavy whipping cream with powdered sugar until medium to stiff peaks form. You can mix in vanilla optionally. Line the bottom of a trifle dish with some of the cookies. Top with sliced bananas and then ½ of the pudding mixture. Add another layer of cookies topped with bananas and then a little less than ½ of the whipped cream. Add a third layer of cookies topped with bananas and then the final ½ of the pudding mixture. Add one last layer of cookies, topped with banana slices. Top with remaining whipped cream and a few vanilla wafers for garnish, optional. Refrigerate for at least five hours (or overnight) before serving. Layering from top to bottom should look like remaining whipped cream, bananas, cookies, ½ of pudding, bananas, cookies, ½ of whipped cream, bananas, cookies, ½ of pudding, bananas, and cookies. Enjoy!